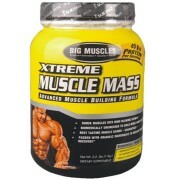 Big Muscle BCAA Supplement is a high quality supplement which will provide you 38gms of serving size. Big Muscle Bring Muscularity in the body. 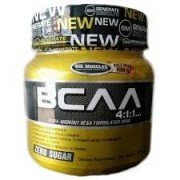 This BCAA supplement helps to provide you hormone production and oxygen transport and storage. BCCA works as agent for building of protein, speed recovery, fat loss and performance. 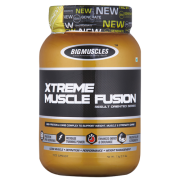 BCAA is build with leucine, isoleucine and valine and it helps in easy digestion of protein. 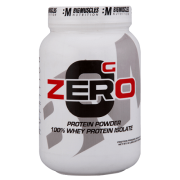 The three BCAAs are incredibly essential and actually fall into the category of essential amino acids. Essential amino acids are amino acids that the body cannot synthesize on its own and therefore must get adequate amounts through dietary sources. 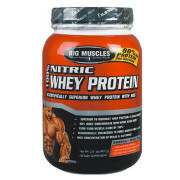 Mostly people are used branded-chain amino acids to prevent fatigue and improved concentration. Athletes and Bodybuilder uses BCAA (Branded-Chain Amino Acids) to improve exercise performance and reduce the protein and muscle breakdown during intense exercise. BCAAs can also help to protect your muscles against the catabolic effects of dieting.